Valerian works in harmony with your natural cycle to promote relaxation, and is designed to help with occasional sleeplessness. Valerian works in harmony with your natural cycle to help promote relaxation, so you can leave your busy day behind and get the tranquil rest you deserve. Inspired by Mother Nature, Valerian is perfect for most people seeking to support their quality of rest. We only use the finest quality herbs and spices. Each is screened and finely milled for quick release. Valerian (Valeriana officinalis) is a perennial plant native to North America and Europe, it has pinkish coloured flowers that grow from a tuberous root or rhizome. Harvested when the plant is two years old, the root contains a number of important compounds including valepotriates, valerenic acid, and other volatile oils. It is important to note that Valerian has a strong odor, so much so that new customers may think they have a ‘bad batch’. The ‘disagreeable’ odor is completely normal and should be expected. Valerian has long been used as an agent to soothe the nervous system in response to stress and as an inducer of restful sleep. Although other agents have been introduced in recent years, which offer similar benefits, Valerian is still one of the most popular herbal preparations on the market and is widely used throughout Europe and Germany. 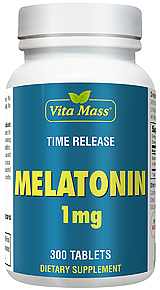 Valerian has been used as a sleep aid for over 1,000 years. 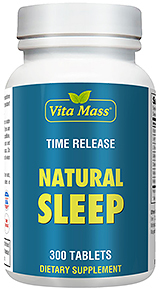 It's ability to help relax the central nervous system, promote feelings of calm, decrease levels of anxiety and stress, and enhance sleep are known to millions the world over. Valerian is not known to cause morning grogginess and is non-addictive.You can help your body and mind relax by taking Valerian. These really do the job of relaxing me so I can fall asleep without any difficulty. For adults, take one (1) to three (3) capsules at bedtime. or Capsules may be opened and prepared as a tea.